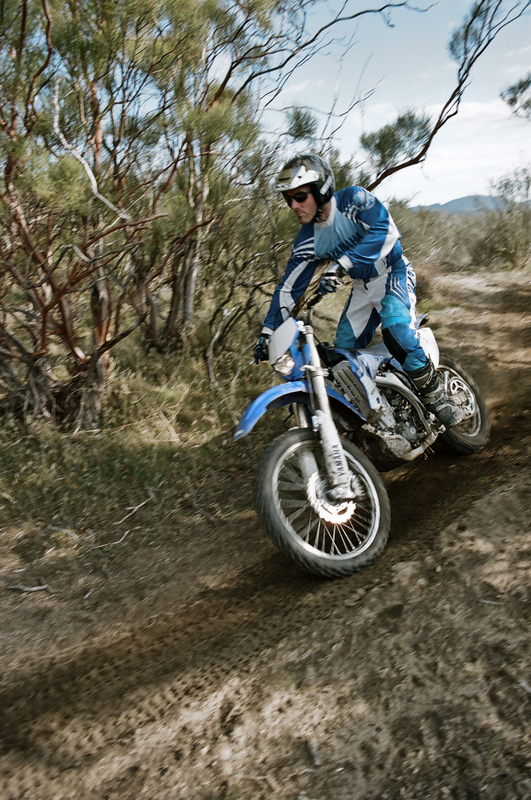 It was fantastic day tearing up the trails at the 300-acre facility near Anza, Ca. — right up until I started crashing … over and over again. I got tired from the first two times hauling the WR450 out of a creek bed and a sand wash and it was all downhill (figuratively) from there. 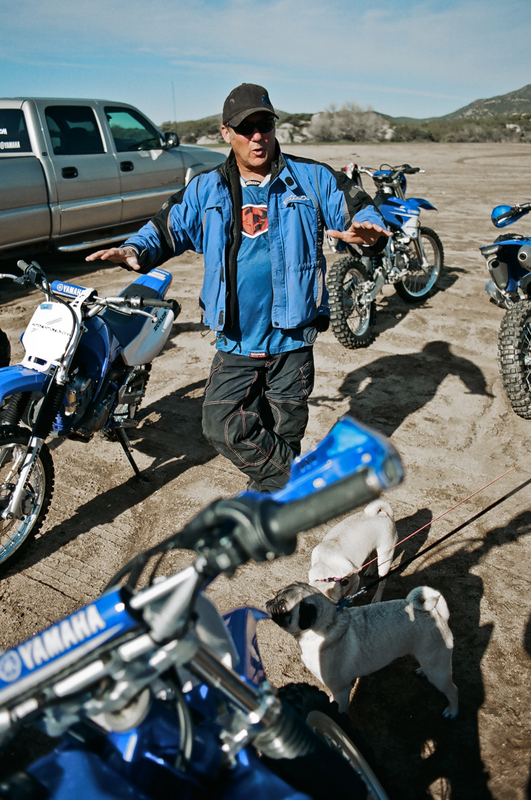 And, the So Cal Motorcycles crew looked like they had a blast. Coming off the bleak stink of dismal cycle sales in 2009, it was probably a nice little energy boost. One of the employees, service writer Trevor Dyck, brought along his film camera and shot some really nice analog pics of the day. I forgot how much I like the graininess and realistic feel of photos shot on film. Here’s a bunch of them from the trip. If you get a chance, check out Trevor’s other photos on his website http://trevordyck.com. In June I picked up a 2009 Victory Hammer S from Polaris headquarters in Medina, Minn. Now, after one month and nearly 1,000 miles, it’s time I return the bike. As a fan of all things with two-wheels, I would’ve enjoyed keeping this head-turner in my garage alongside the SV1000S, Tomos Golden Bullet moped and forthcoming two-stroke Stella scooter. Having a muscle cruiser like the Hammer helped satisfy my different moods – whereas I enjoy long, quick-paced rides on the Suzuki, I equally enjoyed implementing the Victory for shorter, inter-city jaunts. If the SV1S, in triple black livery, is my B2 stealth bomber, the Hammer S, available only in a vibrant blue with white rally stripes, was my attention-grabbing Blue Angels C-130T Hercules “Fat Albert” – heavy, but powerful and impressively agile for its size. The bike attracted attention and garnered questions wherever I went, whether at the filling station, neighborhood grocery store or local bike night. “Go ahead and park it right out front on the sidewalk,” the owner of my favorite restaurant, Eli’s in Minneapolis, said after grilling me on the bike’s specs and my impression of the ride. The Hammer S represented the fourth Victory extended ride the folks at Polaris have granted me. The first bike, the V92TC, was a bit unkempt; the first year Vegas was better, but still not tuned quite right (needed more breathing, found through the parts catalog); and the Vision I rode for a few months last summer was hugely impressive in handling and performance for its size. What’d I like about the Hammer S? I had a list of highlights I quoted to everyone who asked: The 97hp, 113 ft. lbs. of torque offers a healthy dose of acceleration, the bike’s outfitted with a smooth running carbon fiber belt, the sixth gear “overdrive” transmits a fuel-saving engine speed of 2,400 rpm at 70mph, it maneuvers surprisingly well with the big 18-incher up front and 250/40R18 Dunlop rear, and braking was impressive (stainless steel lines, front dual 300mm floating rotors with 4-piston caliper and rear single 300mm floating rotor with 2-piston caliper). The list of things I didn’t like is much shorter: To garner the hardtail look, engineers placed the rear shock a bit too far forward, directly under the seat. It’s preload adjustable, but nevertheless transmitted some kidney-jarring bumps when traversing roadway irregularities. I picked up a 2009 Victory Hammer S from Polaris HQ today, June 15. I’ve noticed this particular bike is about Victory performance, and that my sportbike has tire envy. After rolling 200 miles during the first few hours after pick-up, I do have a few qualms about riding position (see future posts). Of course, I’m traditionally more of a sportbike rider, so anything I ride foot-first seems a bit odd. What New Products Will It Announce For This Division? What Role Will Mark Blackwell Really Play? The announcement today by Polaris Industries, Medina, Minn., that it is launching an “on-road vehicle division” is interesting from several perspectives. Perhaps the most intriguing question the move raises is this: What new products will the innovative Minnesota OEM produce to fit into this segment alongside its popular Victory motorcycles? The move looks to bring the company one step closer to the “adjacent” industry that company executives have been talking about for several years. Former Polaris CEO Tom Tiller often talked about the company’s planned move into “adjacent” industries— ones that could use Polaris’ existing technology and/or sell to its existing customer base. Indeed, Polaris did move outside the powersports industry recently when it signed a strategic alliance with Bobcat to jointly develop Bobcat branded products that will be introduced next year. An electric vehicle, probably a SXS model with two-wheel drive, that can be used in gated communities and other neighborhood developments. There’s been a lot of talk about electric vehicles, but so far nobody’s come up with a practical, efficient and economical machine. Perhaps Polaris, a company that prides itself on its innovation, can be the one to do so. A scooter, probably one in the 150cc size. We know that Polaris has been sourcing one in China for close to a year, so it wouldn’t be surprising to see them introduce one at the beginning of this scooter season. The one problem with each of these products, though, is this: Can Polaris teach its dealers to sell these products, ones that are radically different from the Victory and from Polaris’ off-road products? 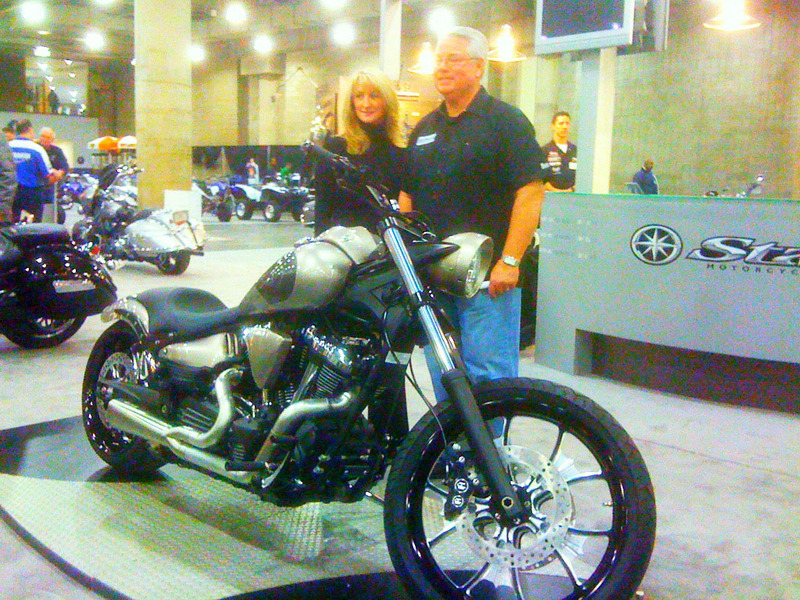 As part of the new organization, Blackwell has been named vice president of motorcycles. Meanwhile, Mike Jonikas, vice president of sales and corporate marketing, has been named vice president of the On-Road Vehicle Division; he’ll be responsible for growing the division. In a related move, Steve Menneto has been named general manger of Victory Motorcycles. The question here is: How much responsibility will Blackwell have? In the recent past, he’s worn several hats for Polaris, at one time running both the Victory and International operations simultaneously. Hmmm, perhaps the sport bike idea isn’t so far off after all. Some concept bikes make it into production, some don’t. Here’s a run-down of some of the neat design studies unveiled during the past few years. Confederate’s Renovatio (Rebirth) concept was designed with a liquid-cooled V-twin producing 150hp standard or 190hp supercharged. Unveiled in October at INTERMOT, Honda’s V4 Concept is a design study made to celebrate the 30th anniversary of the OEM’s V4 four-stroke engine. The Victory Vision 800 concept featured an 800cc 4-stroke liquid-cooled parallel twin mated to an automatic constant variable (CVT) transmission. Unveiled at the 2007 Tokyo Motor Show, the Yamaha Tesseract is capable of leaning into turns and gets its power from both a V-Twin engine of undisclosed size along with an electric motor. 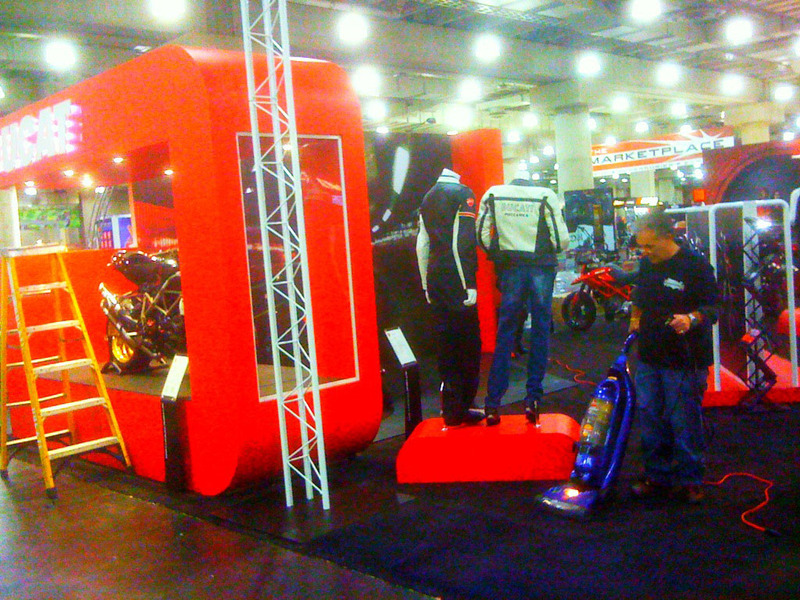 An update to the Mana unveiled in 2006, the radical 839cc V-twin Aprilia Mana X, shown at EICMA 2008, is a 383-lb. bike producing 55hp at 8000rpm. Powered by a hydrogen fuel cell, the Bombardier Embrio concept uses “outrigger wheels” until it hits 15mph, and then it becomes a gyroscopically balanced unicycle. 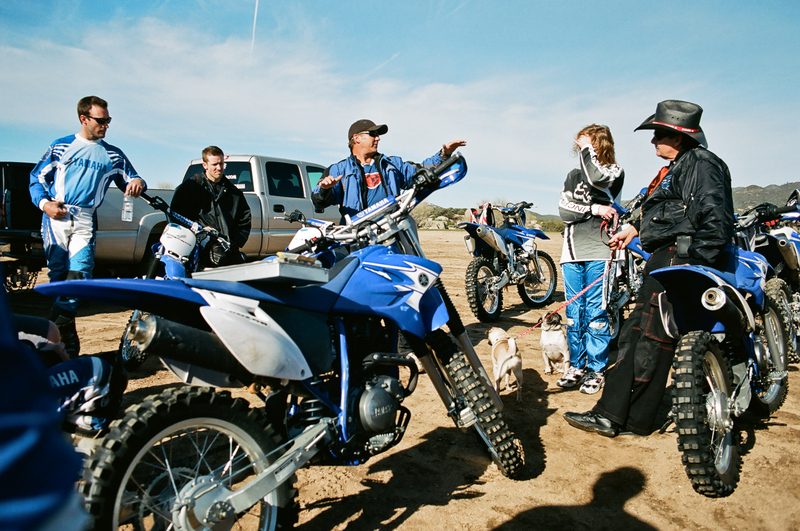 The Uno was invented by 18-year-old Canadian Ben J. Poss Gulak and shown at the 2008 National Motorcycle Show in Toronto. Like the BRP Embrio, the electric-powered vehicle also uses a gyroscope for balance. Like a Segway, to make it go forward, you lean forward. To slow it down, you lean backward. It has two wheels mounted side-by-side. Chrysler’s former president, Wolfgang Bernhard, drove the Tomahawk on stage at the Detroit international auto show in 2003. This radical concept is powered by a V-10 engine sourced from the Viper. 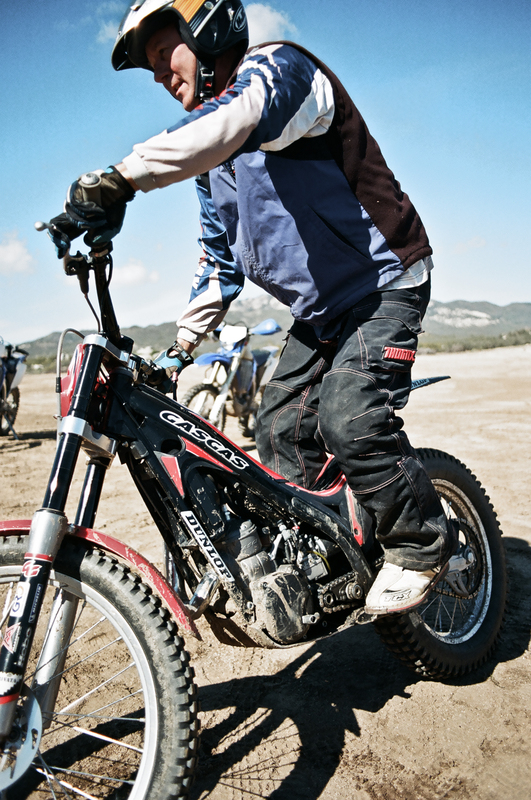 Shown at EICMA last month, the Derbi DH 2.0 can be described as a motorized mountain bike. It has fuel in frame, an automatic transmission, and a 96cc single-cylinder four-stroke producing 8hp. Suzuki’s Crosscage is a fuel-cell motorcycle featuring an air-cooled fuel system from and secondary lithium-ion battery. Look away from the traditional engine – the motor is inside the huge swinging arm/rear wheel assembly. The faux petrol tank covers the fuel cell, the hydrogen fuel tank is where the motor is normally and the battery and motor controller sit underneath. The Husqvarna SMQ450, powered by a 450cc liquid-cooled single, was shown for the first time at EICMA in November. First shown at the 2007 Tokyo Motor Show, the EVO-6 is powered by an 1800cc six-cylinder engine sourced from the Gold Wing. Also unveiled at the 39th Tokyo Motor Show was Yamaha’s Gen-Ryu, equipped with a 600cc engine and electric motor hybrid system. The BMW Lo Rider allows the customer to adapt the entire character of the vehicle to individual taste, and take full pleasure in assembling the unit into anything from a cool cruiser to an aggressive muscle bike. The design elements that customers can individually combine include a raised or lowered exhaust system; a seat for one or two, or an aluminum perch seat; a headlamp unit in classic shape or in streetfighter style; a fuel tank with or without aluminum trim; four paint finishes for the fuel tank; three paint finishes for the engine casing; and front and rear wheel fenders finished either in black or chrome. The year 2007 marked the 20th anniversary of Aprilia’s first GP win. The concept FV2 1200 served as a tribute to that anniversary, and offered a glimpse of the technical and stylistic attributes Aprilia planned to develop for future production bikes. It’s powered by a 1200cc, 90° V-twin engine and boasts a ride-by-wire control system integrating traction control, a latest generation ABS system and electronic suspension management. The bike’s dashboard incorporates a multifunctional instrument cluster that can be interfaced with a PC, making it possible to download telemetric data for personal performance evaluations, reconfigure the information shown on the matrix display, load new mappings from the internet, display itineraries, and integrate GPRS and GSM modules for mobile phone connectivity. Unveiled at EICMA 2007, the Vectrix Electric Superbike is powered by a 240v, 7.5KWh battery that drives an electric motor in the rear hub. The 449-lb. bike has a claimed top speed of 125mph and a single-charge range of around 70 miles.